Irish rock based in traditional Irish song form with a punk edge and pop sensibility. Historical and Anarchist themes abound. Banjo, accordion, fiddle, stratocaster, bass and drums. Not your grandmother's Irish band... or maybe so. Saint Bushmill's Choir first gathered in 1994 as a group of old friends from the Seattle punk underground who shared a secret love of Irish music and a passion for strong drink. Members of bands such as: The Gits, Subvert, Alcohol Funnycar, Supersuckers, The Toucans and Christdriver took part. Playing actual music on acoustic instruments was new to most of them. But somehow after months of Monday night sessions and gallons of whiskey, a unique sound emerged. Rough and raw and full of punk influence, there existed a passion and urgency in the songs and performance which became infectious. "The Choir" gained a large following of Irish music fans and punkers who felt they'd found a fresh voice. More musical than punk rock and more rockin' than traditional Irish music, The Choir continues to perform to packed houses on the west coast. This digital-only release includes a rare bonus track: the dub version of Flowers of Armageddeon, a Choir favorite from back in the day. This album is only available on iTunes, Sony Connect, Napster, etc. via digital download. 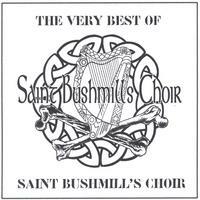 For purchases of an actual CD, buy the almost-identical "Saint Bushmill's Choir" CD, available here on CDBaby.